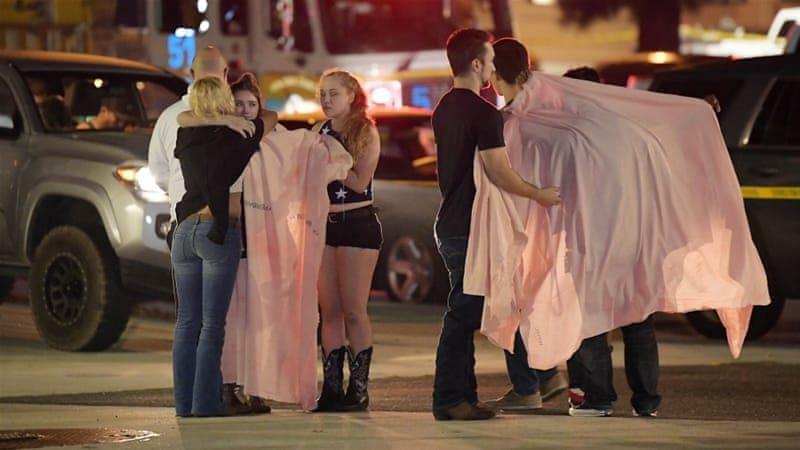 LOS ANGELES, Nov. 8 (Xinhua) -- A total of 13 people were confirmed dead in a mass shooting Wednesday night in the city of Thousand Oaks in Southern California, including an officer and a gunman, local authorities said. Ventura County Sheriff Geoff Dean told the press Sheriff's Deputies responded to multiple reports of gunshots fired at Borderline Bar and Grill around 11:30 p.m. local time. Helus was a 29-year veteran who was set to retire next year, Dean said. "Ron was a hardworking, dedicated sheriff's sergeant. He was totally committed, he gave his all and tonight, as I told his wife, he died a hero. He went in to save lives, to save other people," Dean said. Dean said the identification of the shooter remains unknown. It is unclear whether the shooting was terrorism related.